July 19, 2018, Thursday, 8 a.m. to 4 p.m. The AAWCC-Oregon Chapter's annual Summer Conference is held at Salishan Resort in Oregon. Each of us is affiliated, in some way, with a community college. This year, we explore what we mean by “Community” and how we can build and use communities to help us learn, grow, and succeed beyond what we could do as an individual. We will look at: the characteristics of communities; how we can build a team to meet a common goal; and then take a closer look at the AAWCC Mentorship program and the benefits of having support and guidance to reaching a goal. Senitila McKinley, Seashore Family Literacy: Community, What does it mean? How do you find it? Senitila will share her perception and experience with various communities, both in Tonga and Waldport, Oregon. She will describe her experience of moving to the United States and the challenges of language, cultural, and governmental differences. Using what she learned from navigating these differences, she will share how she recognized needs within her community and what she did to get the support and resources she needed, from Waldport, OR all the way to Washington D.C.
Senitila is a native of Tonga and always felt destined to help others. At 22, she met and married David McKinley and moved to Waldport, OR. She didn’t even know English but she returned to school and earned her GED. In 1989, she founded Seashore Family Literacy and began teaching people to read, working out of whatever space she could beg or borrow, from the church office to a bank lunchroom. In 2005, she negotiated with the Lincoln County School District to lease the former Waldport middle school. Today, in addition to the literacy program and Saturday breakfasts, nonprofit Seashore provides healthy after-school snacks five days a week to some 70 children, operates a free bicycle program, offers clothing and household goods to anyone who needs them, and gives teens on-the-job skills and a paycheck through Project JOY (Job Opportunities for Youth). Have you ever been part of a team that works as a cohesive, highly supportive unit to achieve a common goal? It is a pretty amazing experience. Even when a project is tough, a true team identifies and utilizes the strengths of each member to develop creative solutions in a collaborating partnership. Interested in finding out more? In our time together, we will discover what a dynamic team looks like, discuss what barriers get in the way of developing cohesive teams and explore strategies to improve your work team. Dr. Lisa Davidson is the Executive Director of Connections with Business and Industry at Clackamas Community College. In addition, Dr. Davidson has been teaching graduate and undergraduate communications and business courses at Marylhurst and Concordia Universities since 1994. She has taught a range of courses including Dynamic Team Building, Listening Skills, Organizational Communications, Small Group Communications, and Training Design. 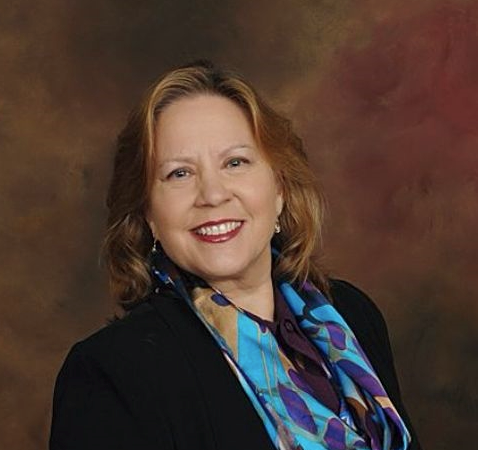 Dr. Davidson has a Bachelor of Science in Business Marketing, a Master’s of Science in Speech and Communications, and a Doctorate in Educational Leadership. In her free time, she loves to camp, hike, sing, and travel. Mentees and mentors will share their experiences and discuss the impact that the mentorship program has had on their professional and personal development. Participants, paired with AAWCC members from another community college, will be just completing the 6-month pilot program. It will be interesting to hear how the mentorship has shaped their views, self-awareness, knowledge of community college work, and career paths. Members from the mentoring committee will also be on the panel to discuss the program and the next application process.